The ICT industry is not realising its full potential as an engine of economic growth, job creation and black empowerment because the local industry is not placing enough emphasis on innovation, and particularly in developing its own intellectual property. The ICT industry has rightly been identified as a job creator and engine of empowerment in the South African economy, as witnessed by the industry’s compact with government in 2011 to create 1 million jobs and achieve 100% broadband penetration by 2020. While there has been progress, and a number of new black-owned ICT companies have been launched, many have not lasted for very long. Overall, industry hasn’t created the number of jobs it could have. Much of the local industry is uncompetitive because too many companies take the easy option of simply reselling technology and solutions that are essentially developed overseas. When times are good, this strategy can pay off, but it always means that the company is ‘just another reseller’, making it vulnerable to competitors with better ideas. For as long as the majority of our ICT industry is involved purely in reselling, it will not make the contribution to the country’s economic development it could. 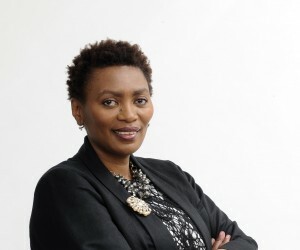 The majority of the black-owned ICT companies that have sprung up over the years have tended to follow the same reseller model. Many of them have failed because they have become over-reliant on government business, and thus vulnerable to late payment or non-award of a tender. It is very important for black start-ups to diversify their businesses from the beginning. It’s a question of not having all your eggs in one basket. Yet this is easier said than done. Breaking into the private sector as a black-owned company is particularly difficult, and you have to keep proving yourself. 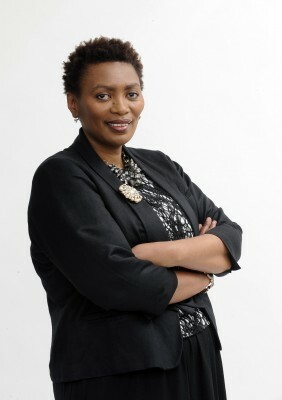 The fact that the company, founded in 1999 by CEO Xoliswa Kakana, and managed by Maggy Sibiya (shareholder and COO) and myself, is owned by black women, is often noted, but we would rather be known for the lasting contribution we have made to building up a truly innovative South African ICT industry. Today, 16 years later, we have managed to survive, and even to prosper-and we are making headway in achieving our goals, basically because of a sustained focus on governance and management, on building up the right calibre of human resources, and through a sustained focus on innovation. Governance and management are the bedrock of any successful company-without them, companies will never be able to survive hard times, and will not make decisions with the long-term in mind. This can mean taking what can seem to be the harder route, in order to build a pipeline of future business. Following this thinking, we have been able to strike a balance between the public and private sectors; and between reselling and implementing leading technologies, and developing its own solutions. Our second success driver is our fundamental belief that our success is built on the quality of our people. Consequently, we have developed an integrated, proactive talent management strategy. People ultimately buy from, and trust, other people. For us, then, it’s critical not only that we attract and retain people with the right skills and attitude, but that we also provide our existing staff with clear opportunities to grow within the company. Creating the right corporate culture is part of this mix, with entrepreneurial flair a key component. Another important element is providing opportunities for further learning, both in the technical and management areas. In line with this we thought it prudent to launch our own internal training academy, Akuwa Akili (kiSwahili for “Be intelligent, be prosperous”). Then there’s the question of innovation. We see this the basis of true competitive differentiation and sustained success. Early on, we took a decision as management that we were going to pursue a course of building up our own intellectual property because that’s what will set us apart. We’ve actively gone out and looked for projects that would allow us to do so, even though that made things harder for us in the short term. We have also been willing to work alongside bigger, more established companies as a junior partner in order to build our credentials. Hard work and a commitment to results over the years have enabled us to participate in many of the country’s flagship ICT projects. Although the private sector doesn’t have the focus on encouraging empowerment that government has, it is important to putting your head down and deliver innovative solutions that do the job.